SUNDERLAND ABC’S Kiaran MacDonald has been added to the British Lionhearts team that will compete in the World Series of Boxing (WSB) against the Croatian Knights at Gateshead Leisure Centre on Friday 16 February 2018. He joins Birtley ABC’s Pat McCormack and Calum French in a line-up that includes three boxers from the North East of England. Two overseas selections, Joe Ward (Ireland) at light-heavyweight and Patrick Mailata (New Zealand) at super-heavyweight, will complete the team. Ward is widely regarded as one the best boxers in the amateur code of the sport and is a three-time European Champion (2011, 2015 and 2017) and world championship medallist, winning silver in 2015 and 2017 and a bronze in 2013. Tickets for the match are available at www.gbboxing.org.uk/tickets. MacDonald, 20, who will be making his debut in the WSB format, will box at flyweight after recently moving up a weight from light-flyweight, where he won the England Boxing national championship (previously known as the ABAs) in 2016 and 2017. MacDonald said: “I am really looking forward to making my debut in WSB, especially as it is the first time that a match has been held in the north east. 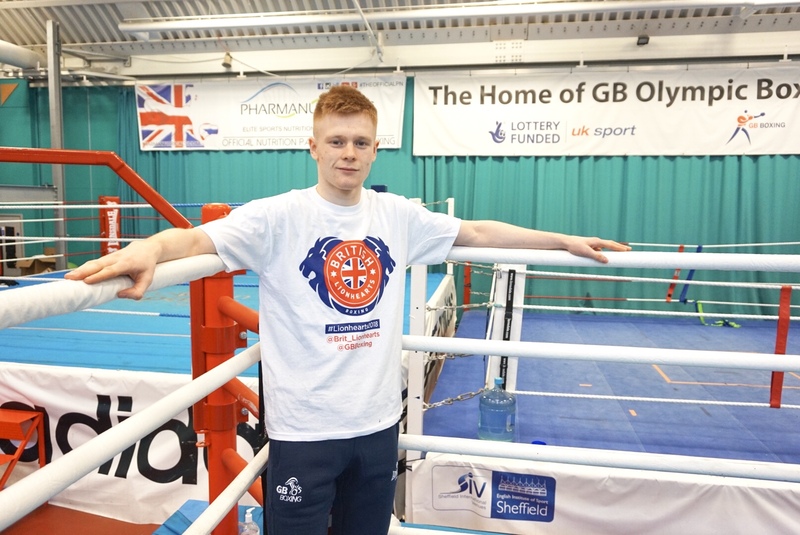 Being part of the GB Boxing squad I never normally get to box in England – let alone my own region – so the event being in north east is a massive confidence boost. “It is great to be on the card with boxers like Pat McCormack and Calum French. To perform with such quality boxers as part of the British Lionhearts is really exciting and I know that they will be pushing me on and giving me a lot of support on the night. “I have got a big home crowd coming to watch me and a lot of people from my boxing club will be there. I know that the kids from my local club are excited to see what it’s like boxing at this sort of level. For MacDonald, who was inspired to take-up boxing at the age of nine, by the exploits of Sunderland’s Tony Jeffries, who won bronze for Team GB at Beijing 2008, a good performance in WSB is an opportunity to impress the GB Boxing coaches with a view to getting promoted (from the Podium Potential group) to GB Boxing’s elite Podium squad. He added: “Boxing in Gateshead will give me a good chance to break into the Podium squad. Some of the flyweights on Podium are moving up in weight, so hopefully it means there is a space opening up for me.